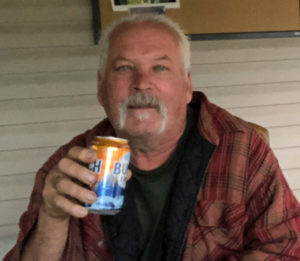 Bruce S. Gralewicz, age 69, of Arkdale, Wisconsin passed away unexpectedly Monday, April 1, 2019, at his home. A celebration of life will be from 11:00 a.m. until 2:00 p.m. on Saturday, April 6, 2019, at Roseberry’s Funeral Home in Friendship, Wisconsin. There will be a luncheon to follow at Bay Rest Bar in Petenwell. Bruce was born May 26, 1949, in Milwaukee, Wisconsin to Stanley and Pauline Gralewicz. Bruce was quite a character and loved playing jokes on people. Whenever Bruce was around there was plenty of laughs. Bruce and Patty loved the North woods and spent plenty of time 4 wheeling, playing cribbage or hanging with the neighbors. Everyone loved Bruce and knew he was always there to help out anyone. He was very loved by family and friends and will be missed by all. Bruce was preceded in death by his parents. Patti ; you have my deepest sympathy . Bruce will always live on as a kind , caring and funny guy who made me laugh and was there to help anyone that he knew him . The dynamics of Lost Weekend Acres will never be the same again . He truly will be missed by myself and many others . He would have loved to “go ” on Aprils Fools Day, just not this year. After reading the condolences, its heartwarming to know he enjoyed his life so much with all of you. Blessings to all. Bruce was a sweet guy who would give you the shirt off his back if you needed it! He’ll be in my thoughts and prayers. Bruce was a wonderful, funny and caring man. You couldn’t ask for a better person to know or call friend. He was part of what made Lost Weekend Acres such a special and wonderful place. It was always nice to sit down by the pond, sit spend time by a fire or celebrate the 4th of July with him and so many others. He’s truly someone that will never be forgotten. Our condolences to Patty, the family and the many friends of Bruce. This world truly experienced a great loss. He will always be remembered and cherished in all hearts. I do not remember a time in my life that Bruce wasn’t my dads best friend. Those two were inseparable, probably to a fault, until the end. They were loyal and dependable and embodied the true meaning of friendship. They were partners in crime for over 40 years. We should all be so lucky to have someone in our lives for that length of time; someone who would always have our back and best interest at heart. To say that Brucey will be missed, is an incredible understatement. To say that he was loved; is even more. Bruce made us feel so welcome the very first day we bought our place in Lost Weekend Acres. Always offering anything he had to help out. He always made us laugh. He will be greatly missed. Your friends at Whiskey Acres. Haven’t seen Bruce for years. He was still my best friend. My heart is empty. Sorry for your loss. Lost Weekend Acres will never be the same. Our families Navarro/Taylor have many great memories of Bruce. Helping to dig the pond will be one of my families greatest memory. He will be missed by my entire family: my youngest son he called the “professor” and I was the “orphanage” woman with all the kids. Fred, Scott and the hunting guys will miss seeing him “up north”. So for the loss Bruce was a great person always playing jokes. Lost weekend acres will never be the same. From all of Bruce’s friends at Winding Roofing Company we offer our condolences to Patty and her daughter. Bruce was quite a character, always joking around and made us laugh every day! He was also a talented mechanic. We are still in disbelieve. We feel like we lost a family member. My husband is a man of few friends and Bruce was not only a good friend but was looked at like a brother. Our thoughts and prayers are with you and we only have beautiful memories of our time together, there really are no words. I can’t even imagine Lost Weekend Acres without Bruce. Lots of great memories and even more laughs. He was truly one in a million. I’m so sorry for your loss. Cappuccino will be missed by all.